Thank you for expressing an interest in the Charlbury Dental Practice for your dental care. We believe that you should keep your teeth for life! 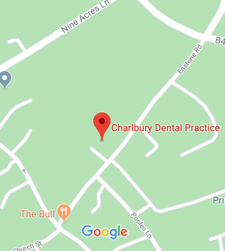 At the Charlbury Dental Practice we place an emphasis on dental education and preventative dentistry to minimise the amount of dental treatment you currently receive, but where we do need to provide dental treatment we use modern techniques and materials to achieve the highest quality. We will provide long term solutions to maintain your dental health. At the Charlbury Dental Practice we all share a vision to create the best dental practice possible. We are proud of our practice and committed to improving and developing the quality of service. We have built a reputation for providing an excellent standard of dentistry. Our team of dentists, hygienists, nurses and support staff are all highly trained and share our mission which is to provide outstanding care to patients who demand the very best. We look forward to welcoming you for your consultation. Friday afternoons and Saturday mornings by appointments.